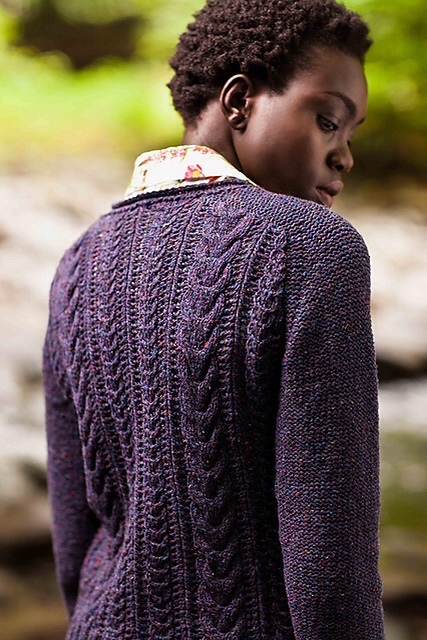 We're knitting this sweater--a lovely cables and lace pullover! 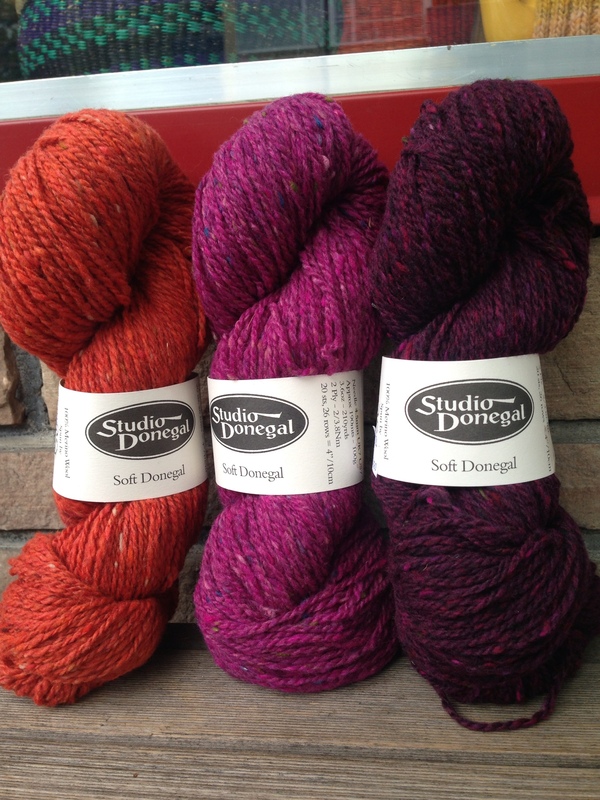 We're knitting with our new Soft Donegal, a luxurious merino wool spun as a traditional Tweed in the remote, mountainous region of Kilcar, Ireland. The cream colour has suble specks of yellow and blue. 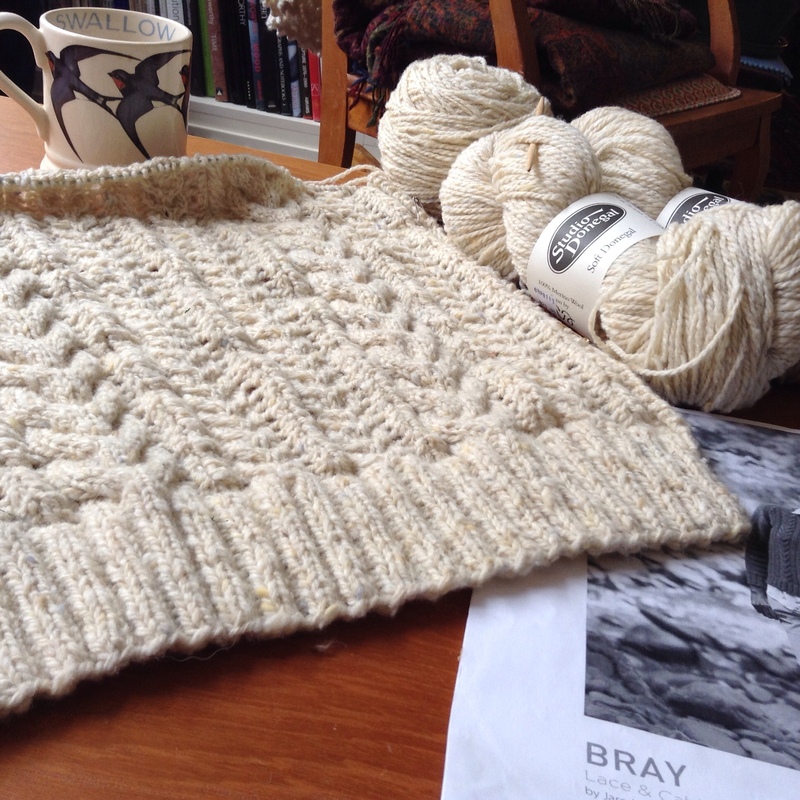 Here's the back, ready to begin raglan shaping. A few more of our 18 colours.